This is a portrait of a new family of pigeons. 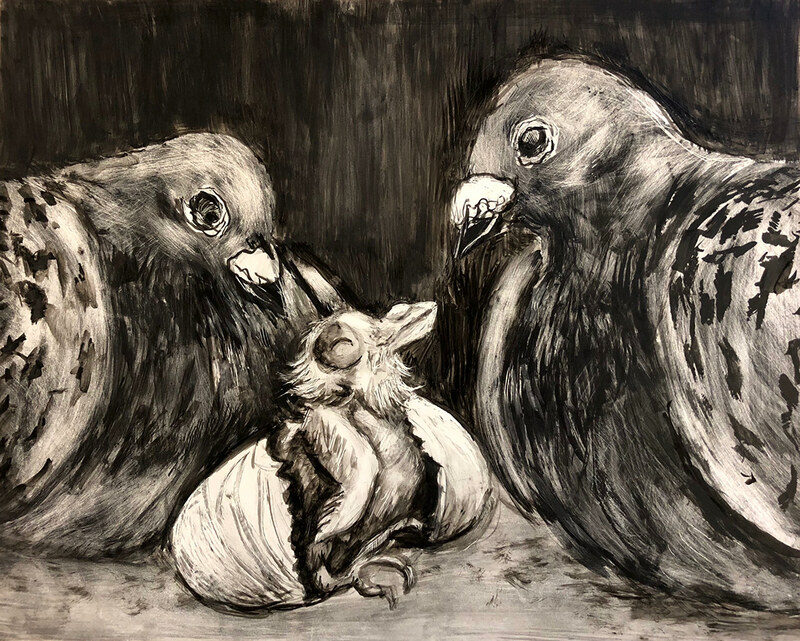 I have been a member of my college's Pigeon Club all 4 years of school, and adore that time of the year when our pigeons start families. I wanted to preserve on of these sweet moments in my piece.